We are glad that you're satisfied with our service. We're looking forward to see you again next year for the annual maintenance and inspection. Caring installer who did the job in a manner that showed he was proud of his work. 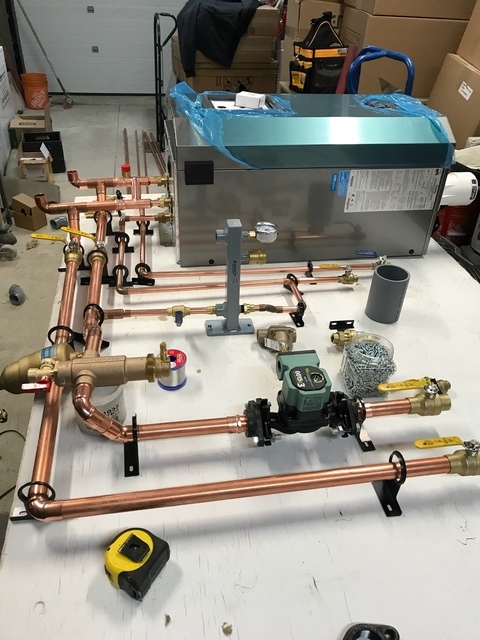 Everything installed and tested first rate. Cleaned up after also. Best installation I've experienced for a furnace or A/C unit - and I've done 3 in different houses. Would highly recommend CHC. Thank you Charles for the kind review. You know how we are creatures of both habit and comfort? And when we are NOT physically comfortable, we are not usually nice about it? That was driven home to me on Sunday night, March 10th. I arrived home to Toronto after an emotional visit with my very sick sister. My husband, the dog, 4 cats and the fish had been freezing, literally, since Thursday night. I had expected to come home to a warm house because I had been in touch with 'my guy' since Fri and he kept saying he would come by. Bear in mind he's kept my old furnace running for years. Years! So by Sun night he still had not appeared and I was SICKER than I knew. (I actually had pneumonia!) Monday night he showed up and said we probably needed a new furnace. WHEN is the timing ever good to be uncomfortable? Exactly! Never! By now I had 3 space heaters which definitely helped. But short term. He said he'd be back Thursday so in my feverish state, I thought he meant INSTALLED by Thursday. How wrong I was. And how COLD we were. (And one cat is 19 and not in the pink of health either...) So when he called Thurs morning to say he would be by to measure...measure!! I lost it. I typed in 'furnaces' on google. I had my name on a website at 2pm. At 2:15 I got a phone call from City Home Comfort. Analissa asked me if anyone had called me yet. I said no. She asked if someone could come out at 4. I countered with 'anything earlier?' She said yes! Before 3, an incredibly positive and upbeat man bravely appeared at my door. Steve looked at my furnace, I told him my quick story. That I was sick. About my sister in Boston. That I'm selling my house shortly! About 'my guy' and how miserable I was. And outlined my bottom line numbers. Can I say that in literally 5 minutes after his arrival Steve and I had come to an agreement?!! He was so optimistic, so knowledgeable, so....secure...I knew in my heart that this was the way to go. BUT, with pen in hand, as I was about to sign, I felt like I had to do the decent thing and at least give 'my guy' the courtesy of a phone call. Steve just froze. Not like I had been! He just stopped having any motion. He stopped cold. (so not an intended pun!) He listened as I made the call. I told 'my guy' I had someone over and I was about to sign the deal. Ironically, he walked in at that moment and when I tell you it was one of the most awkward moments for me...believe it! I was literally in tears! (Bear in mind, pneumonia. So cold inside. So frustrated) My heart was heavy but my brain was spot on. This time it was about my family and ME. I said good-bye to 'my guy' forever. Fast forward to 9:30 the next morning, 17 hours from the time I put my name on that website. 16 hours from the time Steve arrived at my door, Terry came, literally unrolling his red carpet. And despite my pushing tea and banana bread on him, he was very self-contained. He even charmed my dog!! At 4ish, Steve reappeared to see what was going on. Terry had just tested the parts. We were about to have heat! Wonderful wonderful wonderful heat!! (and bonus, air too!!) That man did not stop for 11 solid hours! So, here it is, three weeks later. It's April, theoretically spring, yet still that cold is in the air. I have BLESSED the people at CITY HOME COMFORT EVERY DAY. EVERY SINGLE DAY for three weeks! And I shall, for the rest of my life. Analissa for getting the ball rolling. Steve for everything after opening the door. Terry for his dogged determination. And Chris for giving the green light. Yes, I am moving. And I am taking City Home Comfort with me every step of the way. 5 Stars just isn't enough. 10 out of ten MAYBE. I would give a 100% across the board. You're the BEST!! Thank you always guys. Thank you from the bottom of my big WARM heart. We appreciate the kind words Wendie! We're looking forward to more years of servicing your Hvac systems for the annual check and inspection. on one of the coldest nights in February, I realized my furnace had stopped working. I called first thing in the morning and City Home Comfort was there before noon. This is going to be my first time reviewing a company/ service. 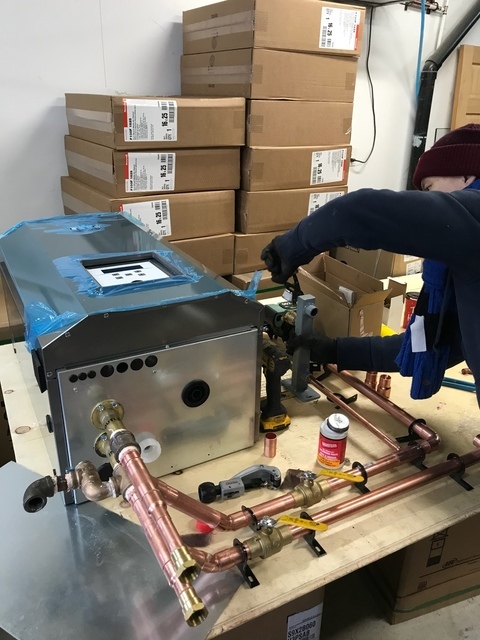 We love the new furnace and tank-less water heater, the installation was clean and on time. The technicians were great. The main reason I’m compailed to write this review is mainly my experience with the young consultant that came to sell me these products. Been in sales myself for over 40 years, i was absolutely amazed by Steve. Within 5 min of meeting him, I knew he was going to get the deal. Steve is extremely organized, took every step to explain his well laid out presentation and no delails was too small. Unlike most of other representatives that came , he was the only one that asked if we had any issues with the current heating and how long we intended to stay in the house. Very important information if you ask me! He then proceeded to offer me 3 different options thus allowing me to pick what would work best budget/needs. Throughout the presentation not once did I feel a sales push, tricks or blur. It is more about informing and going over rebate details. I felt very comfortable signing up on the spot. The communication before the installation was superb, every question was answered within minutes. After the installation, he came by the house as promised to see how everything went and set up the Nest on the family’s iPad and phones. Needless to say that the customer service was above and beyond what i would have expected. 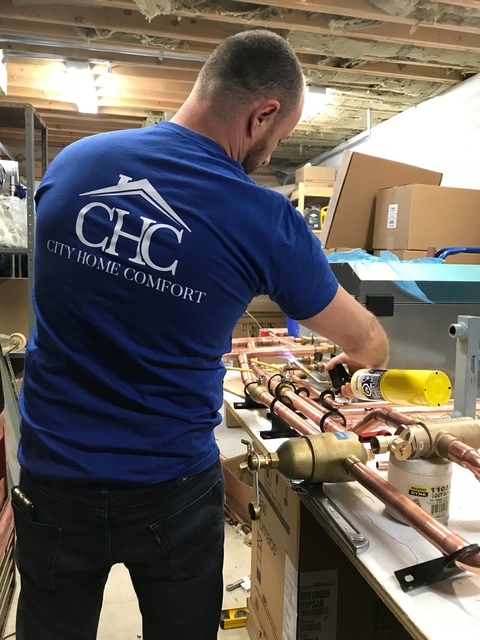 I want to thank Steve and City Home Comfort for a very pleasant experience buying our new equipment. Good luck and keep up the good work. Highly recommend this company. On us. We thank you for your Business and look forward to your service relationship for years to come. Obviously biggest snow storm in 50yrs so something had to go wrong. Lost our hot water today. I called couple shops close to home but they could not send anyone till next week. Went through the Homestars search and got a response from City Home Comfort within 30min of request. They got to the house within 2hrs and promptly fixed the issue. Recommended annual maintenance so problem does not occur again. We are very thankful and will use them again for any needs. Thank you so much for your review. We are glad we could be of service. Stay toasty! I had woken up in the middle of the night from my son saying he was cold, when I looked at the temperature it was 10 degrees in my house I got on the phone and called City home comfort, within the hour A gentleman named Chris arrived. He fixed the issue and recommended getting a new furnace he showed me all the reasons why he made this recommendation, I was impressed with his knowledge and kindness. 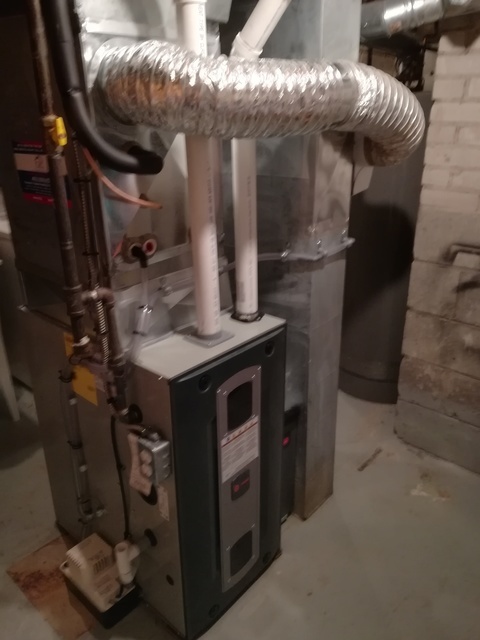 I realized I made a mistake, so I decided to call back City Home Comfort and follow up with Chris, he spoke to me on the phone for a good while and explained different options and how it made no sense putting money into an old furnace to possibly only get a year out of it, so I went for a new one and I’m happy that I did, they were fast and did a great job!!! I’d highly recommend to everyone!! 10 Stars ALL THE WAY!! We love 10 stars! Thank you for your review. 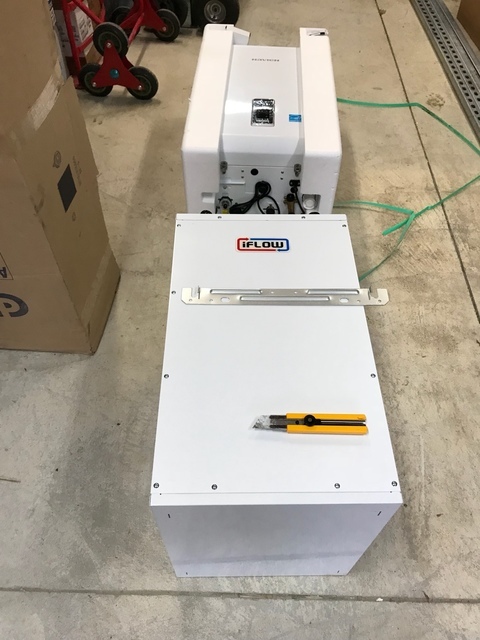 We are happy we could be of service and congratulations on your new tankless! Stay toasty! 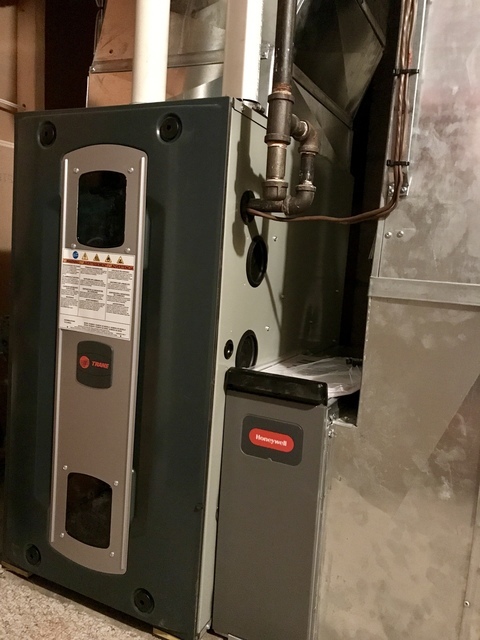 I had a new Trane furnace (S9X2) installed by City Home Comfort on Dec. 17, 2018. I made a contract with the company, due to its comparable price. However, I was worried about the quality of the job, because the company has only a few reviews on their website. On the installation day, the technicians showed up on time and completed the work within the estimated time frame. They vacuumed the working area and took all the leftover pieces of materials after the installation. When I asked them to check the humidifier, they changed the filter without charge. The company also submitted the form of incentives on my behalf. I am really satisfied with the furnace and the company. Highly Recommend! Hi Kenny, thank you the rave review! We at City Home Comfort are glad we met your expectations. We look forward to servicing your home for years to come. Stay toasty! Great Service- good team! I have used them for multiple big jobs, they installed both my new furnace, which is very efficient, and installed new AC, which saved my marriage in summers. 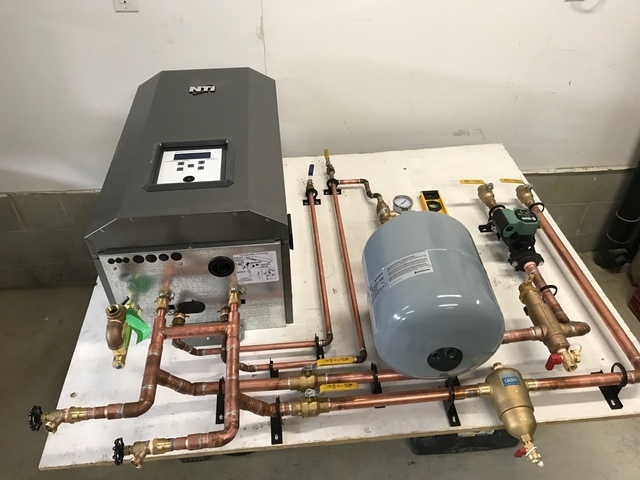 We had a complicated furnace setup with infloor heat and other issues, but they finished everything on time and on budget so i'll keep using them for everything! Thank you so much for your kind review. We really appreciate you taking the time to share your experience you had with City Home Comfort!